I attended a friend’s wedding recently. It was beautiful, as well as emotional. As I looked at the bride walking down the aisle, looking regal in her wedding dress, eyes fixed on her handsome groom, I couldn’t help but remember my own wedding. Walking towards my soon to be husband all those months ago, I remember being so excited and thinking, ‘I can’t believe this is finally happening!’ I had wanted to be married for a long time and when that day finally came, I was filled with too many emotions to put into words. Weddings are great because they are an opportunity to celebrate love. That two people who were once complete strangers would decide to make a commitment to spending their whole lives together is amazing and definitely worth celebrating. But when all the decorations have been put away, the beautiful flowers have dried up and everyone has gone back to their own lives, you quickly realise that the two of you now have to face life together as husband and wife. For some, this is a time filled with much excitement- you’ve been looking forward to this moment since you said ‘yes’ to an engagement proposal. For others, the same moment is filled with some trepidation, as the reality of life as husband and wife begins to sink in. It is easy to spend so much time planning and looking forward to the wedding, without stopping to remember that marriage is what this is actually all about (and what will hopefully, last longer than just one day). If you don’t take time to get to know each other properly before getting married, you may find your early years of marriage a bit more difficult than you would’ve imagined. This is why I’m an advocate for dating and marriage preparation. The dating period is important because it is a time to really get to know your potential spouse. What makes them tick? What are their likes and dislikes? Can you stand their temperament? And maybe more importantly, can they stand yours? Yes, you both love each other and it feels electric when you kiss or hold hands, but, what will you do when you want to watch your favourite soap, for example, and he insists on watching the game? Or you want to have the boys round for some drinks and she says she was looking forward to some peace and quiet that weekend? In other words, how do you resolve conflict? Before we got married my (now) husband and I attended a marriage preparation course. Some of the topics covered included Communication, Resolving conflict, and Keeping love alive. We actually decided to attend the course prior to getting engaged because we thought it was important to address any potential issues before we made that first public sign of commitment. I think it was the right decision for us, as a few weeks into the course, we got engaged. I believe that dating can never be a wasted period in the life of a couple and taking time to carefully consider marriage together can never work against you. Even if you don’t end up getting married, chances are, you will learn some significant lessons to take with you on the rest of life’s journey. 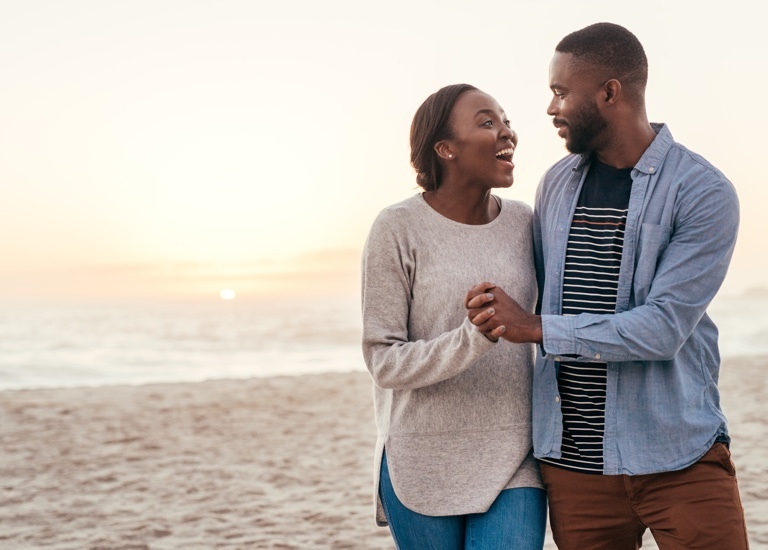 The truth is that no matter how long you date someone, you’ll never fully know them, but it is possible to know enough to allow you to make an informed decision about marriage, and the dating period allows you to do that. Now I feel the need to add a caveat here to say that the dating period should not go on forever. Each relationship is different but if you’ve been dating for years and believe in marriage but still aren’t able to take that next step, then perhaps you should be having a different conversation about what might be holding you back, or what may be causing you to have doubts. Marriage is a good thing. And if you’re reading this, chances are you would like to get married at some point. But, it’s important to remember that God designed marriage as something to be enjoyed, that would last for life. Taking time to prepare beforehand is just one way to make sure your marriage starts off on the right foot.